There are a number of dogs breeds that are very misunderstood. Many countries ban those dog breeds, because they are known as scary, aggressive, vicious etc... Here's the list of breeds that are completely misunderstood. American Pit Bull Terrier.- American Pit Bull Terries, often just known as “Pit Bulls” are the most feared breed in USA. 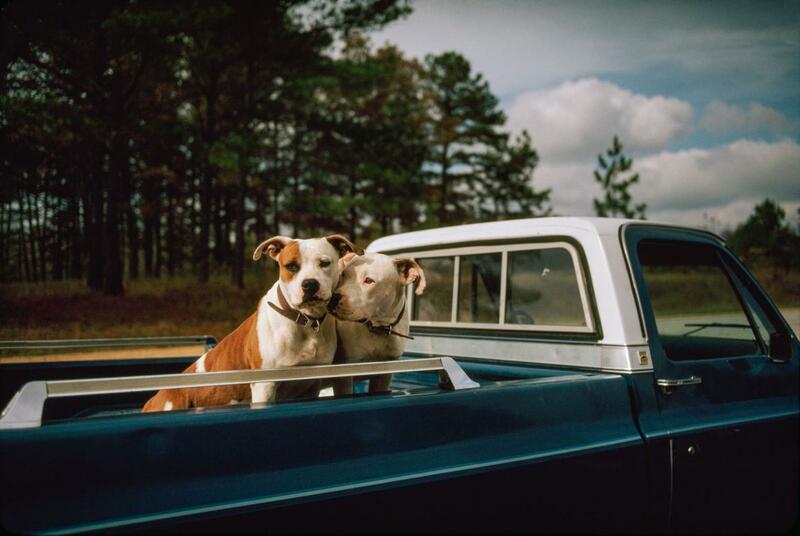 The “Pit Bull” isn’t an actual breed, but a slang term that current american culture uses to describe any dog that has a cropped ears,big head, or brindle coat. Pit Bulls are friendly and love people, but over the years, they are known as aggresive breed due to breeders and owners that used them in dog fighting. 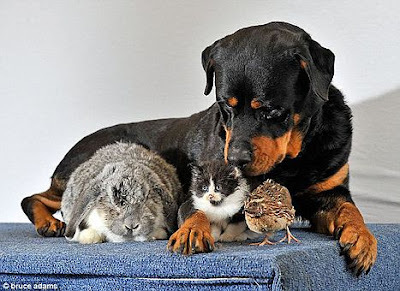 Rottweiler.- - Rottweilers are big, loyalty. strong and intelligent dogs, they are often portrayed as being bred to kill due to their owners, but they are extremely friendly and loyal with their families and other pets if they are socialized in a loving family. Doberman Pincher.- Strong, fast and big, these are words that can describe them. 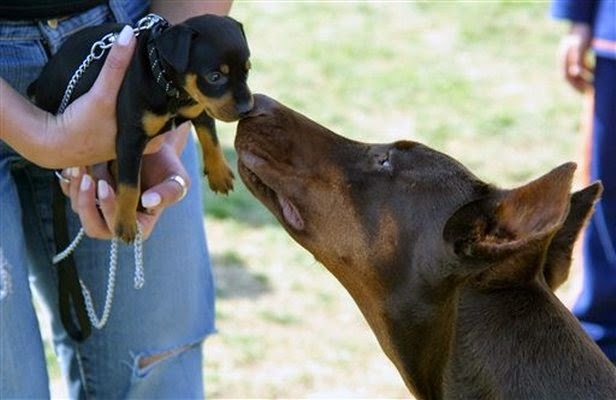 Same as Rottweiler’s, Dobermans have developed a bad reputation as a aggresive dog, but they only become aggressive if their owners encourage the behavior. Dobermans are actually very sweet, loving and rank as highly intelligent dog breed. I have a three months old male rottie, ,we are treating him like our family but he is behaving with his instinct aggressive for silly things and making us scary as hell, ,, I love him, ,what i can do? Ur rottie may try to jump over u and don't want to leave u in between playing....its their normal childish behaviour...this may continue upto one and half to 2 years of his age. This may strengthen ur bound with ur rottie. Play with him, train him then u will have perfect guard at ur home. No brother it is not the problem,he is getting aggressive while iam taking unwanted chewing things from his mouth like stones wood,other wise he is lovely and sleeping with me on my bed, cuddle licking, ,,he is stubborn and little selfish, is it instinct of the breed? How can I punish him better way? Don't expect miracles. Rotties are extremely smart and like smart humans will test your limits over and over. Stick to your guns, do not hit him EVER, and understand that he is as smart as you (even if he's not, pretend he is). Be patient. Lead him everywhere he goes; i.e. you walk through a door first, he eats when you say he eats, etc.. Don't show love until he has earned lovin, but don't act aggressive. And above all, show no fear. It will take time but you can get there. We had an aggressive girl as she was baby of litter of 10. We changed some feeding habits which worked (moved bowl around corner) but we actually sent her to dog boarding school & it was the best thing for her & is. They showed us how to 'train' her & become alpha - hubby is I'm next though. Seriously was worth the money, now at 3 yrs old we can actually take her for a walk etc, she's still leading off lead. But definitely no agression. My Rottweiler is male named Rusty and he extremely friendly with everyone. The breed has got bad name due to bad owners. Great tips and food for thought although we are very uncomfortable thinking about a pet sitter. Maybe we should just get over it.